Samuel J. 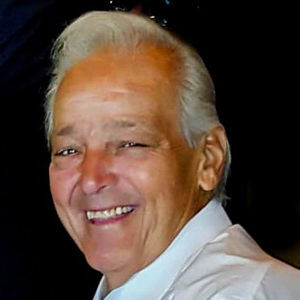 "Sam" Rio, age 71, of Wonder Lake, passed away peacefully, March 2, 2019. He was born March 7, 1947, to the late Joseph Sr, and Josephine (nee Mannone) Rio. On September 7, 1968, he married the love of his life, Christine Scaccia, at St. Beatrice Church, Schiller Park. Sam loved golfing and went every day he could. He also enjoyed boating in his free time. Sam will be greatly missed by all who knew him. He is survived by his loving wife of 50 years, Christine; brothers: Jacob (Judith) Rio, Joseph Rio, and Robert (Joanne) Rio; brothers- and sisters-in-law: Vita Taviani, Jean (Robert) Nelson, Jeanette Rio, and Sam Scaccia; and many nieces, nephews, great-nieces and nephews, and great-great-nieces and nephews. In addition to his parents, he was preceded in death by his brother, Anthony Rio. Visitation will be held on Thursday, March 7, 2019, from 4pm until 8pm, and will continue on Friday, March 8, from 8:30am until 9:30am, at Colonial Funeral Home, 591 Ridgeview Drive, McHenry. Mass of Christian Burial will be said at 10am at Christ the King Catholic Church, 5006 E Wonder Lake Road, Wonder Lake. Interment will be private. Add your thoughts, prayers or a condolence to Samuel's guestbook.